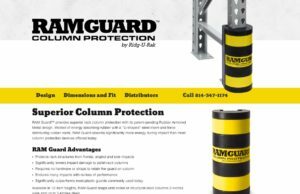 RAM Guard™ provides superior rack column protection with its patent-pending Rubber Armored Metal design. 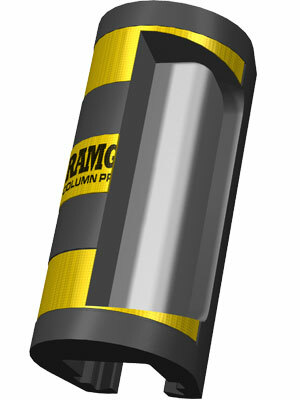 Molded of energy absorbing rubber with a “U-shaped” steel insert and force distributing rubber voids, RAM Guard absorbs significantly more energy during impact than most column protection devices offered today. There is a wide range of products designed to help protect pallet rack columns from the everyday abuses that commonly occur in busy warehouse environments. These products include steel reinforced columns, slat-back or offset frames, floor-mounted steel guards, bumpers, barriers and after market attachable guards. Each of these serves a purpose and make sense in different applications. Aftermarket attachable guards have wide applications ranging from small plants with high traffic areas to large facilities where it is critical to reduce the time and cost of replacing damaged uprights… and everything in between. 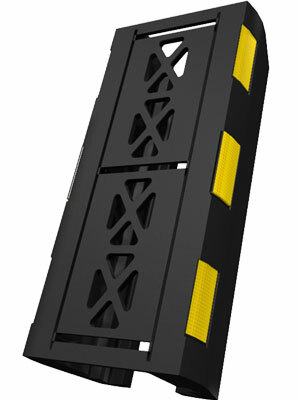 There are many types, kinds and sizes of guards on the market today, but none like the RAM Guard. After nearly two years of development, testing and proto-type designs, the new patent-pending RAM Guard delivers the greatest impact resistance available in aftermarket column guards. Through extensive testing and evaluation, a specific rubber compound was formulated to provide a balance between durability, density and impact absorption qualities. The chart below shows the energy absorbing capacity of various materials that are commonly used in column guards. 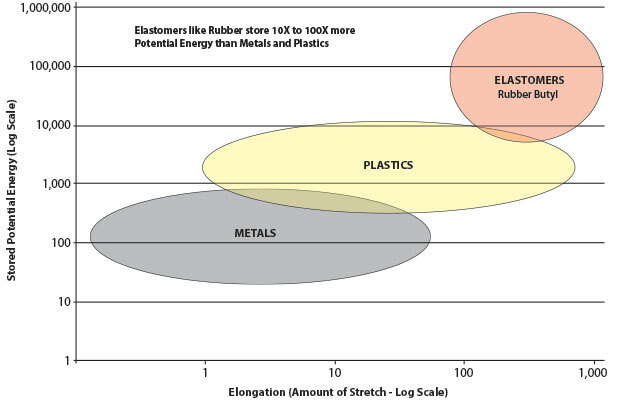 Clearly, this shows elastomers offer some far greater absorbing properties than other materials. Once the rubber compound was selected, various steel inserts were tested, culminating in the use of a “U-shaped” steel plate to maximize impact protection from multiple angles. Finally, rubber voids were introduced to assist in the distribution of impact forces. The results speak for themselves!